FCRA Violations Lead to Record-Breaking Verdict | The Consumer Law Group, P.C. 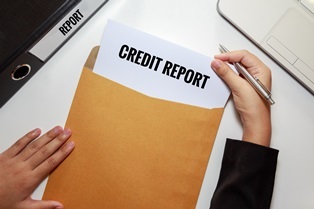 We have written extensively on our website about the Fair Credit Reporting Act (FCRA) and how credit reporting agencies (CRAs), “furnishers” of credit information, and “users” of consumer reports can violate the protections offered by the FCRA. Our goal is to educate consumers about their rights and to help them stand up to the agencies who are misusing or misreporting their private financial information. In a major case decided this summer, a jury in Northern California sent a loud and clear message to TransUnion, one of the three main CRAs, after they violated the FCRA rights of thousands of consumers. While agencies that violate the FCRA are subject to statutory damages of $100-$1000, the jury in this case decided to also award punitive damages in the amount of $6,353.08 to each plaintiff in the class action suit, in addition to a $984.22 per person statutory fine. All told, damages amounted to $60 million. This case sets an important precedent. When agencies that collect, manage, and share your financial information fail to protect your rights under FCRA, they will be held accountable. If you are struggling to have misinformation removed from your credit report or your credit report has been shared with an unauthorized party, you may need legal representation to address the situation. Use the form on this page to contact us today.